Fits for all sizes from 8.4v to 12v large type batteries. 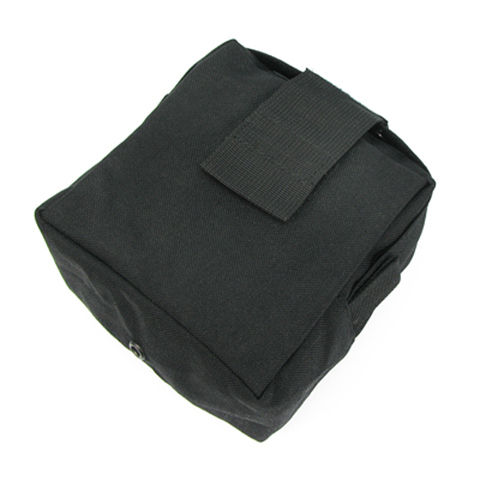 Helmet counter weight bag for storing battery of night version goggle. 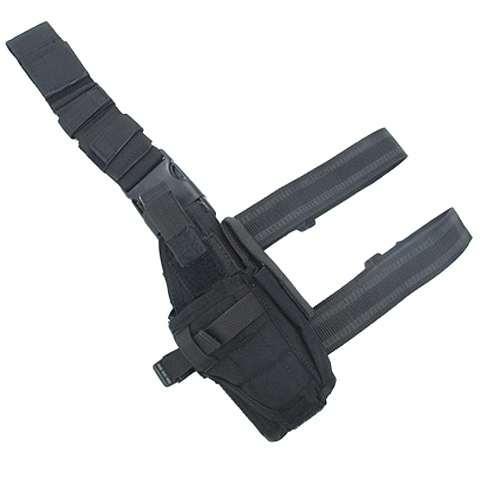 MPS QR Pistol Mag Pouch. 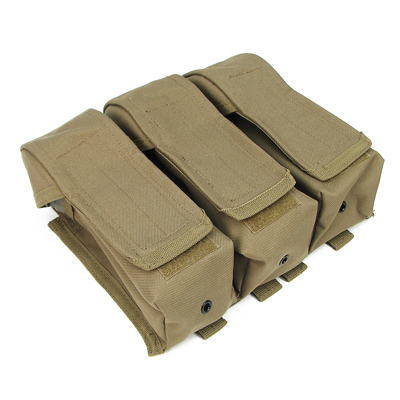 Best fits for holding magazine of KSC G19/G26 and KJ G27/G23. 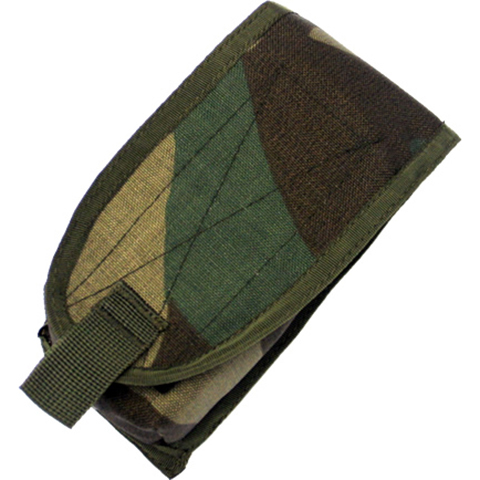 Mag drop pouch for store finished magazines. It can be even carring NVG or other accessories. 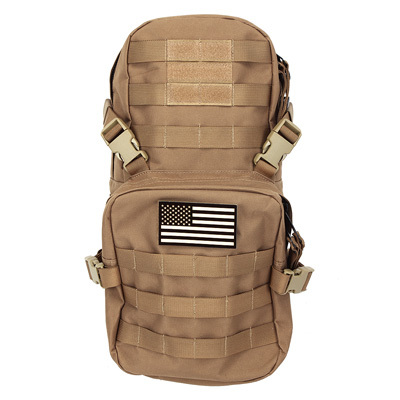 MPS SF Hydration Pack comes with NVT IFF Flag. 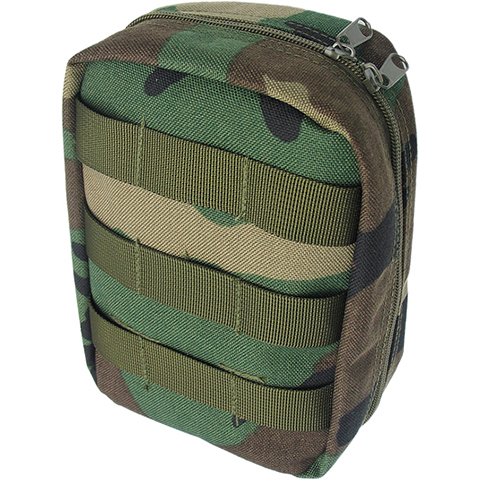 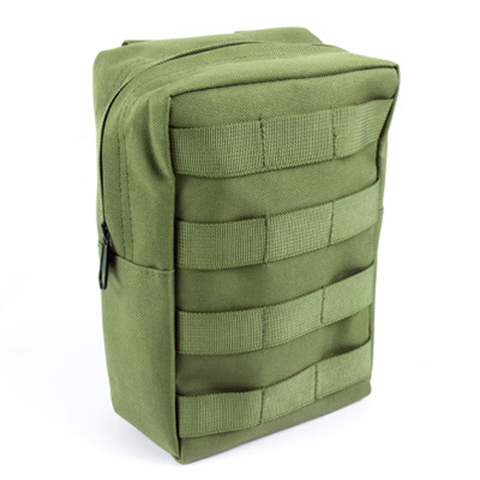 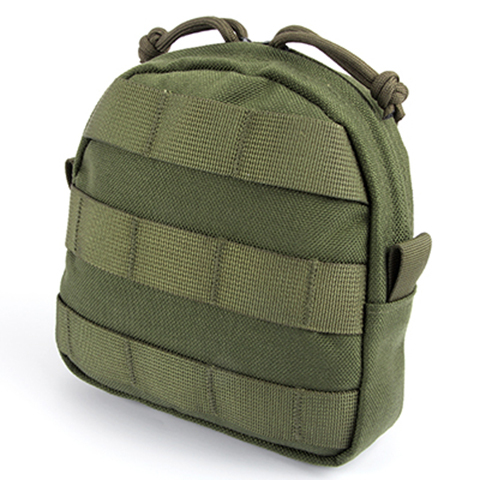 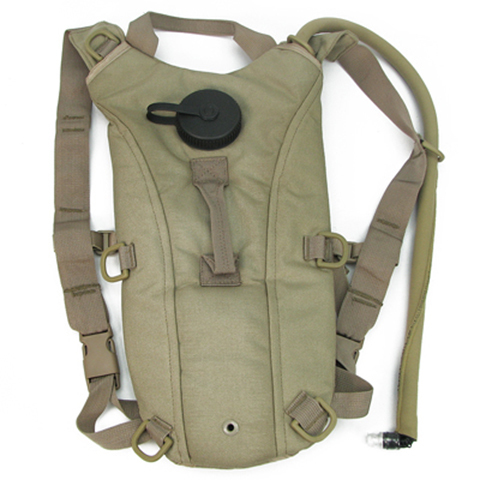 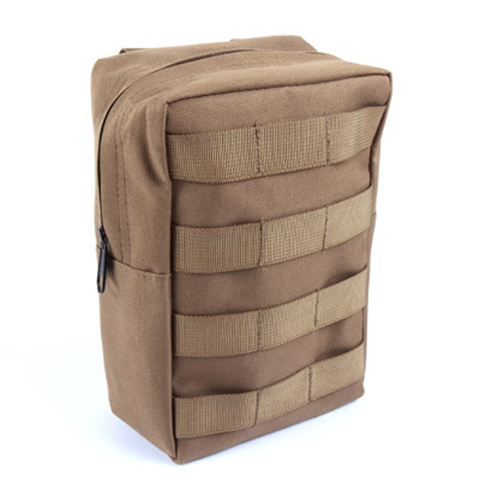 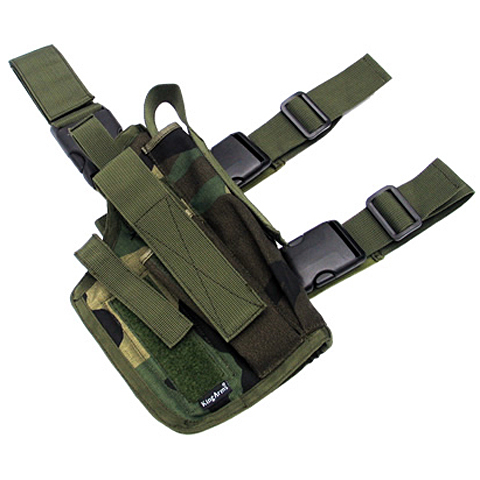 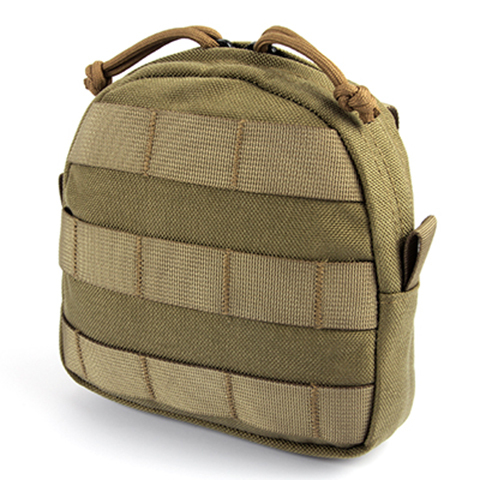 All MOLLE (MPS) series pouches can attach to this item. 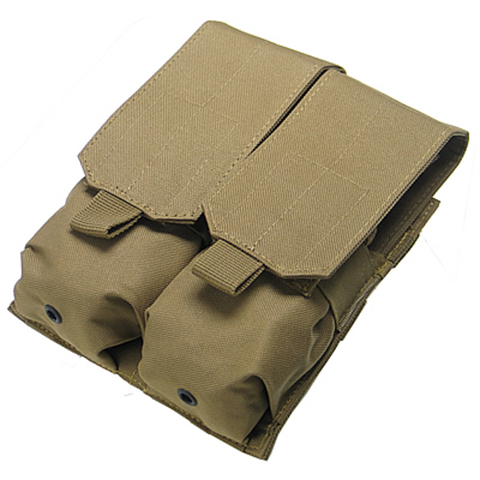 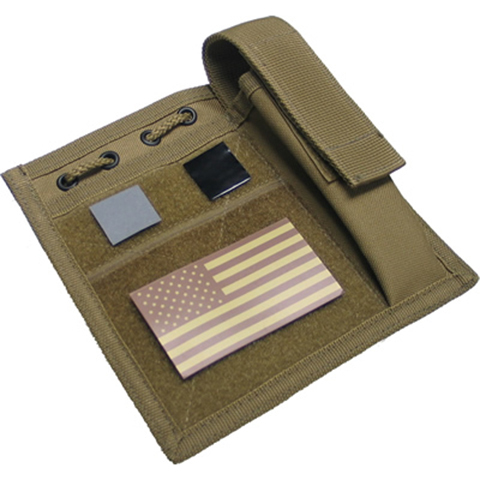 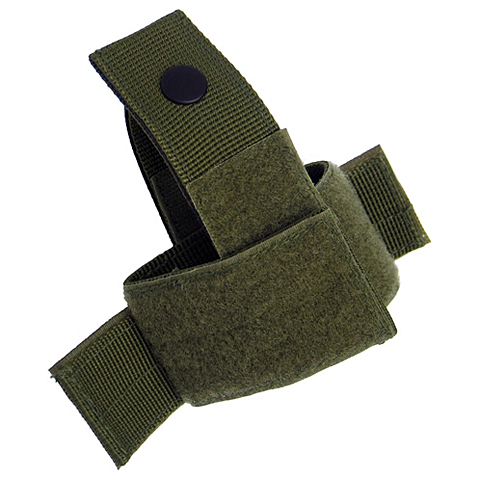 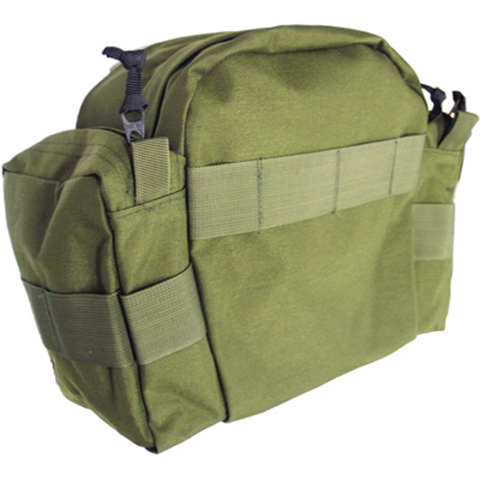 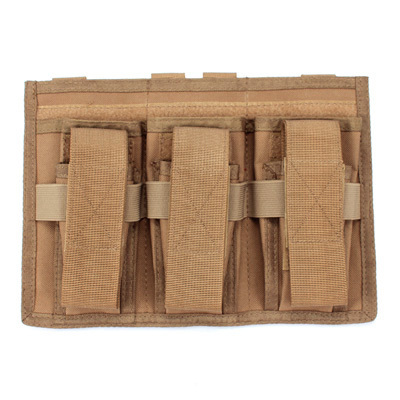 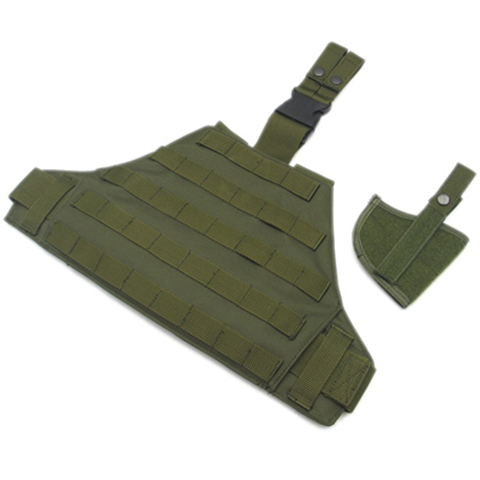 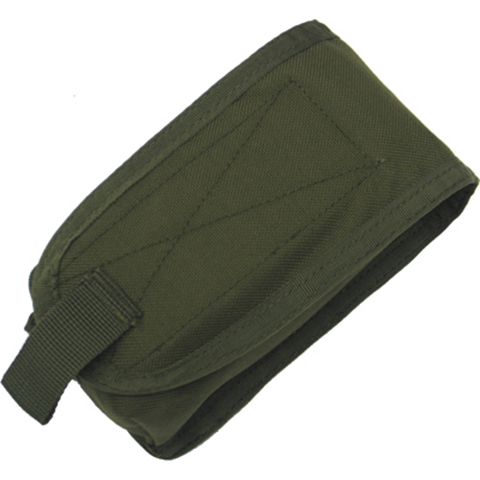 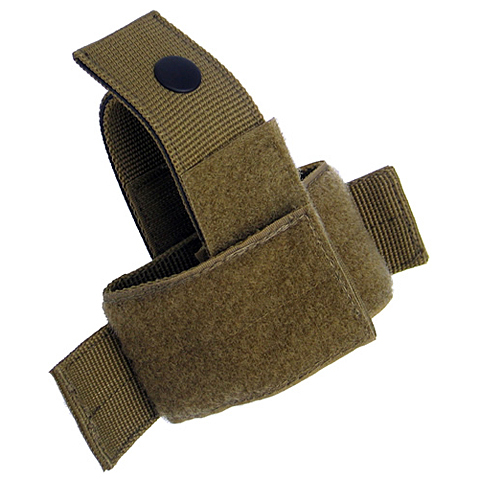 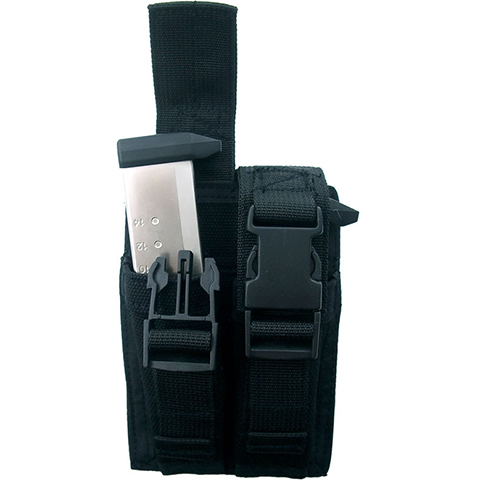 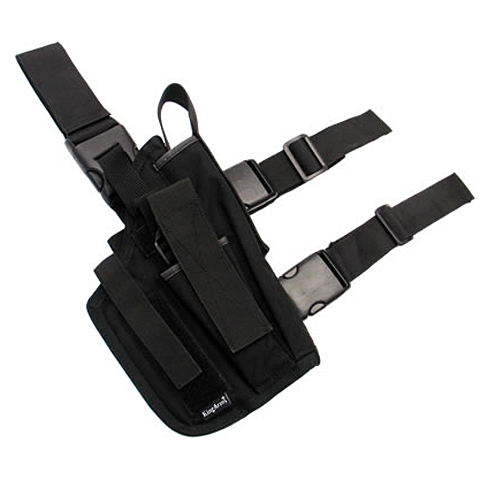 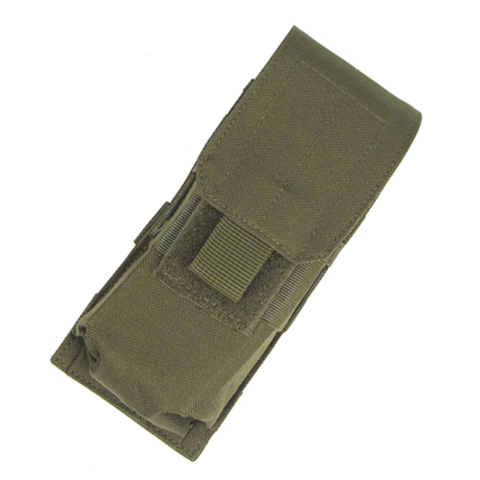 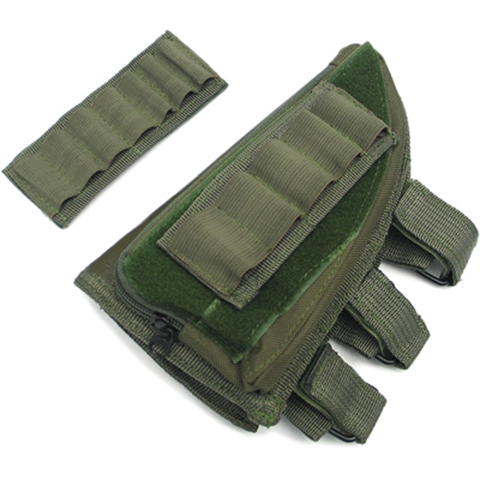 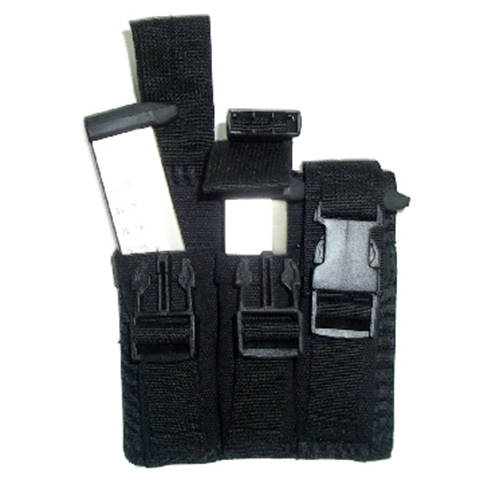 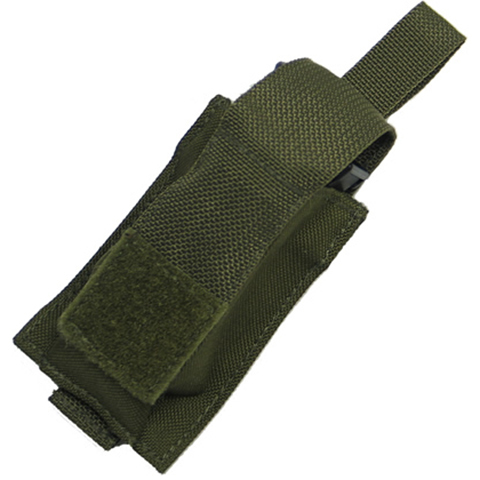 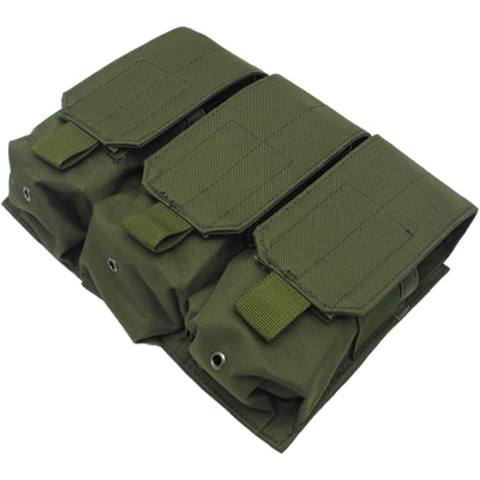 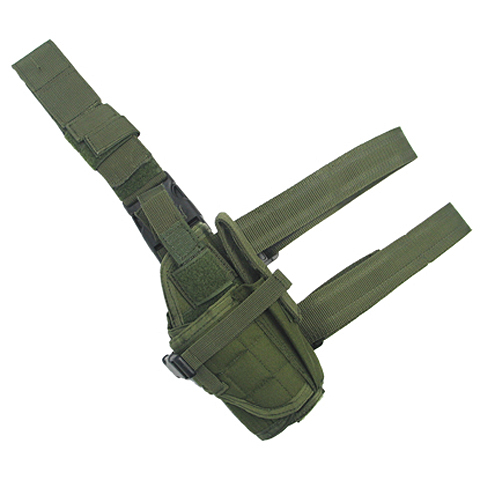 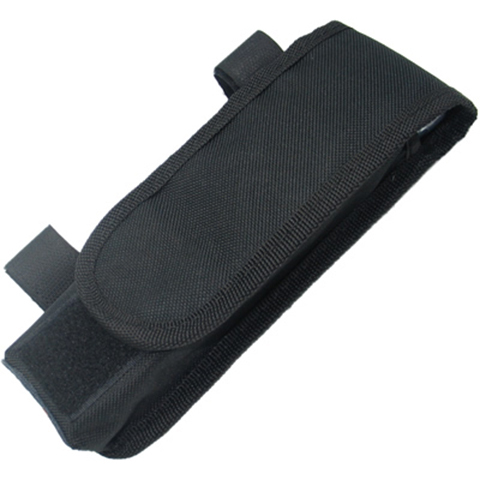 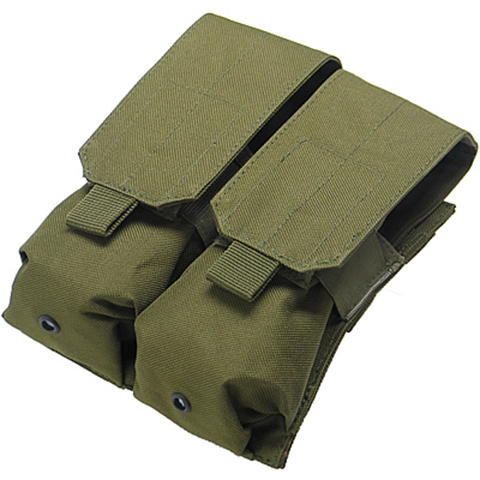 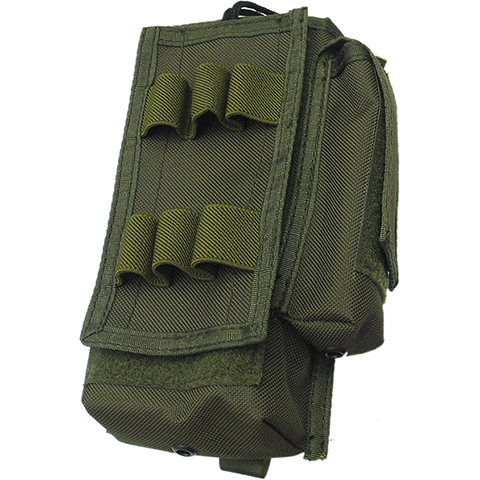 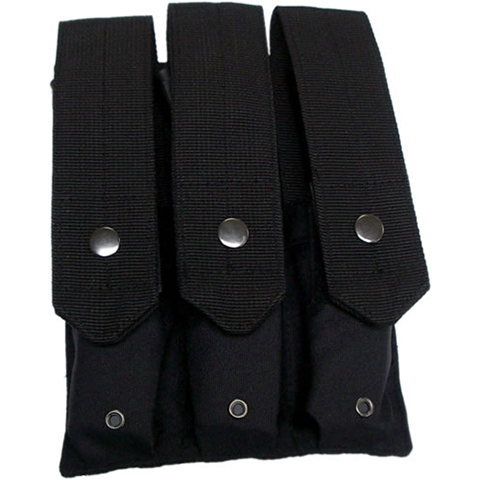 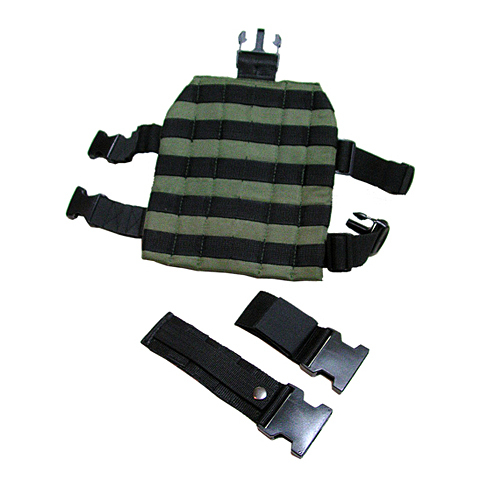 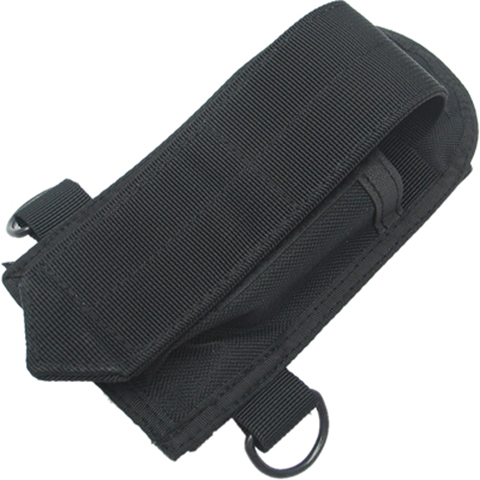 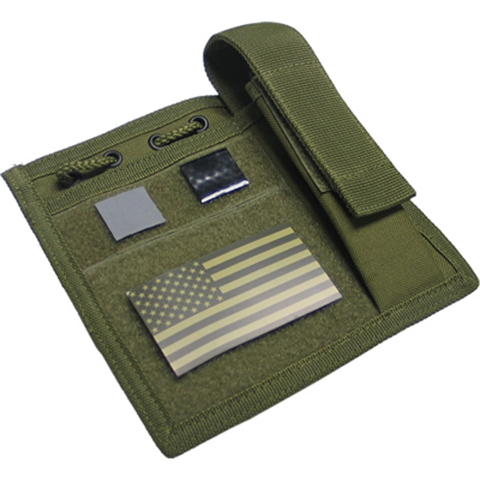 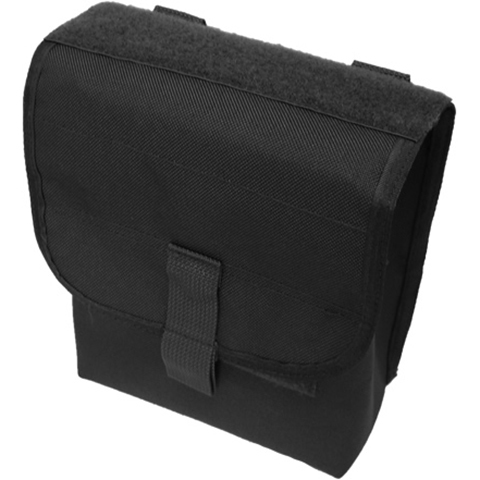 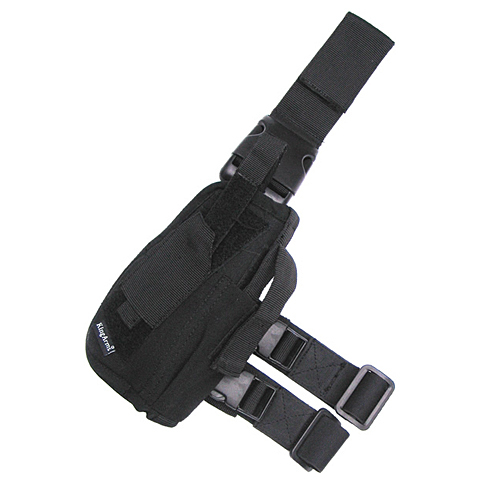 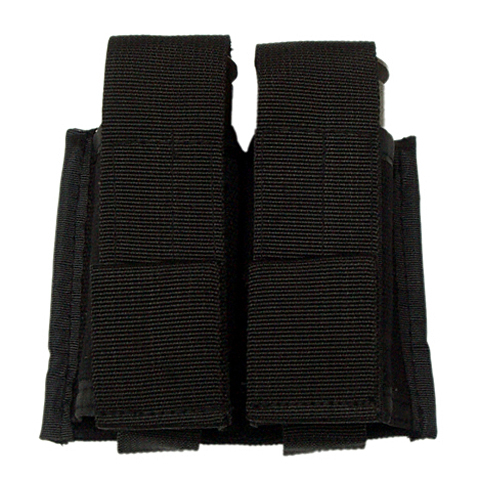 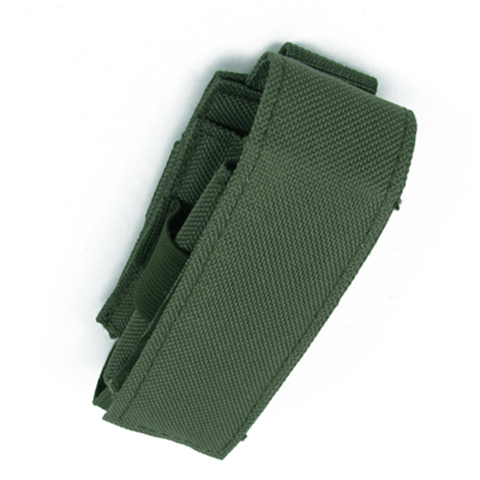 This MPS Separate Slots Mag Pouch can carry three M4 magazines and three pistol magazines. 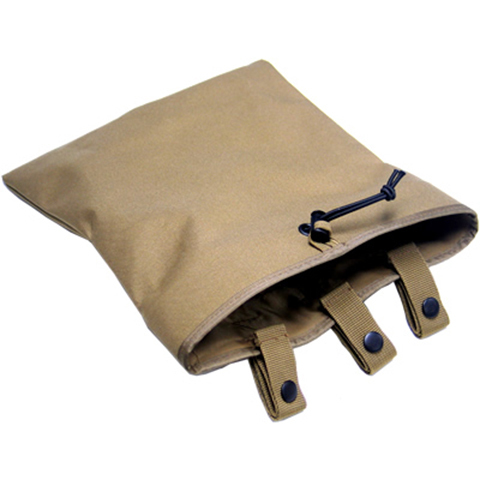 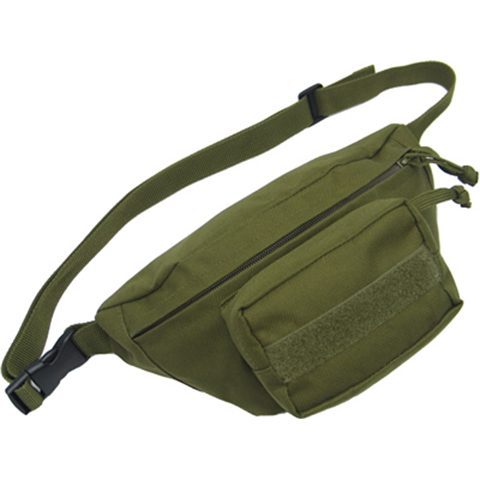 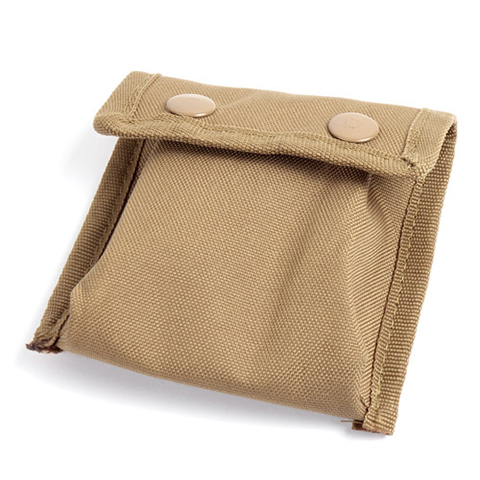 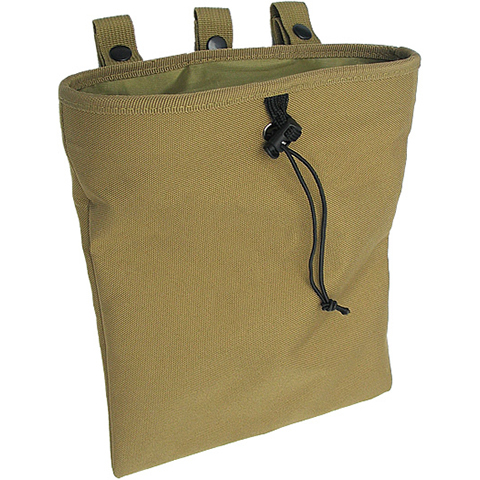 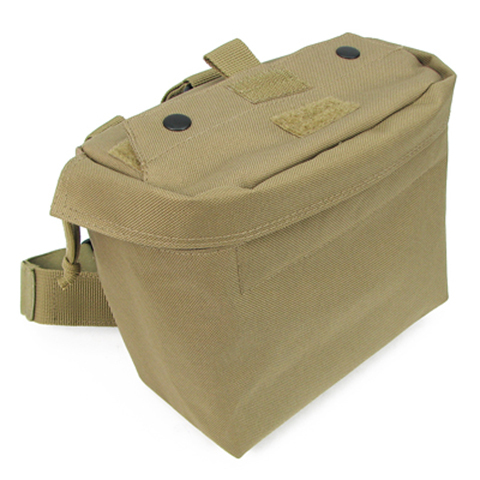 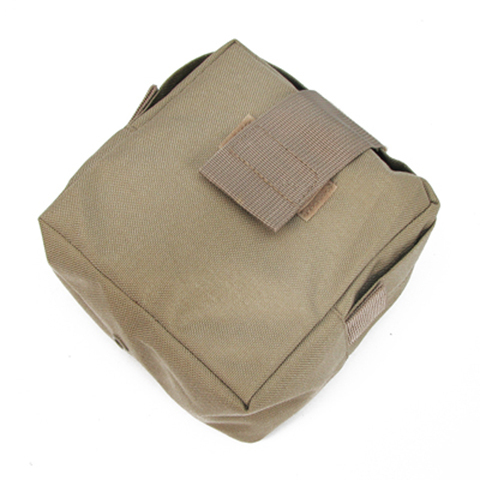 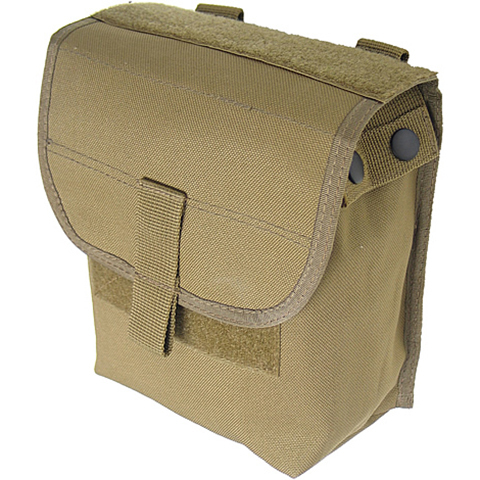 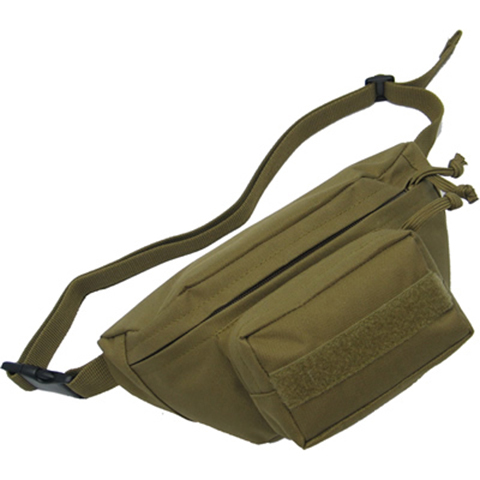 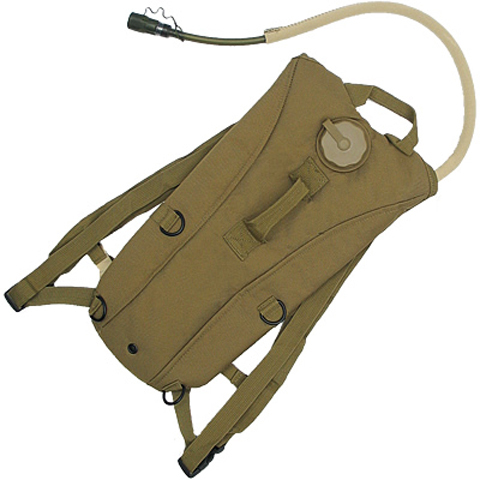 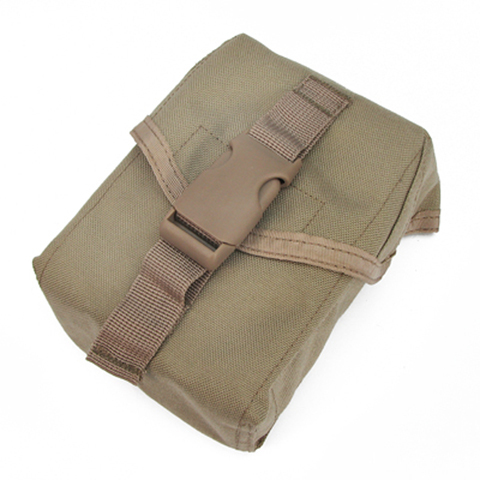 MPS MED-L Pouch in TAN color. 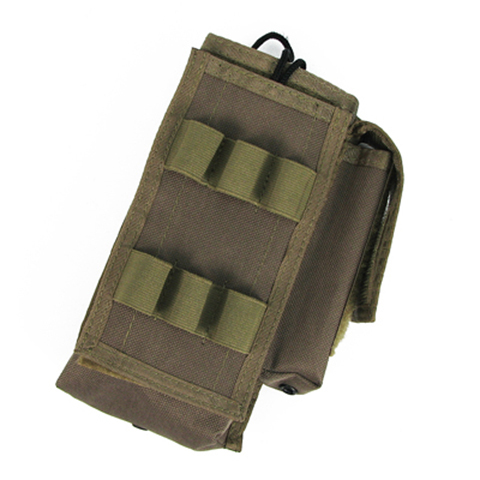 It can be attached to any MOLLE systems. 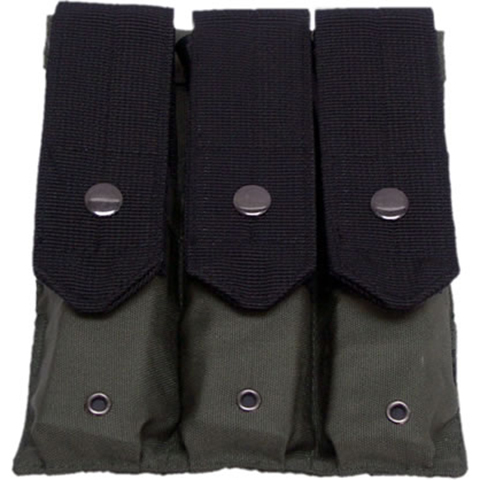 MPS DA Triple AK Ammo Pouch. 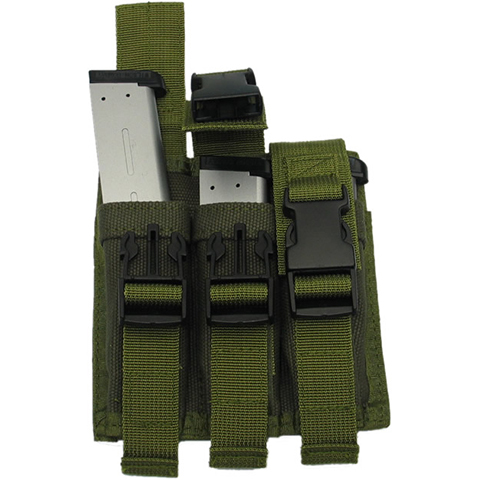 Capable to carry 6 AK magazines. 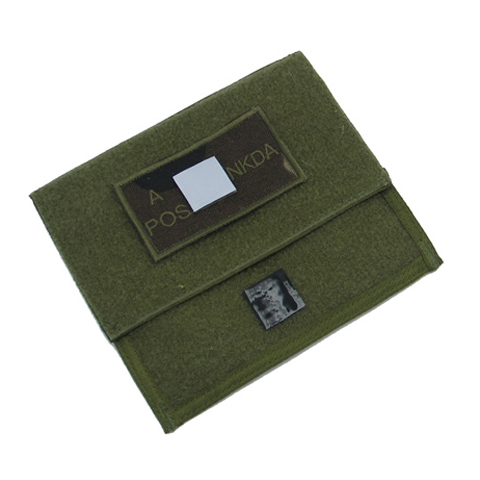 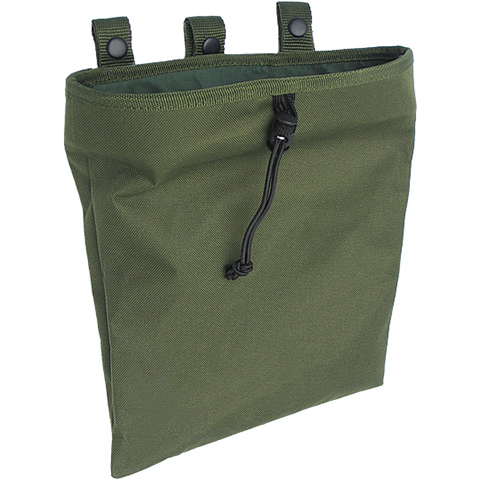 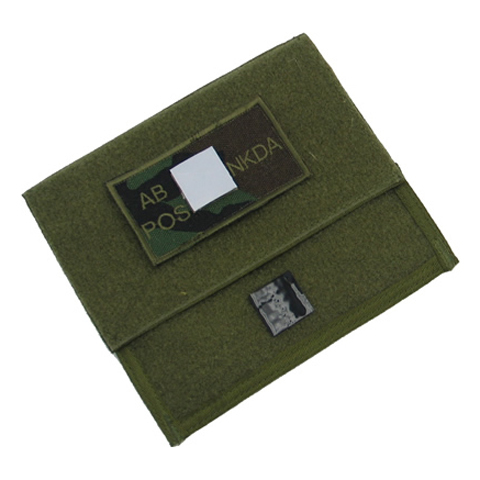 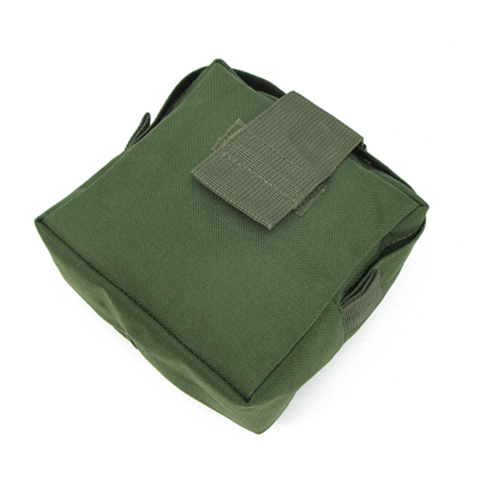 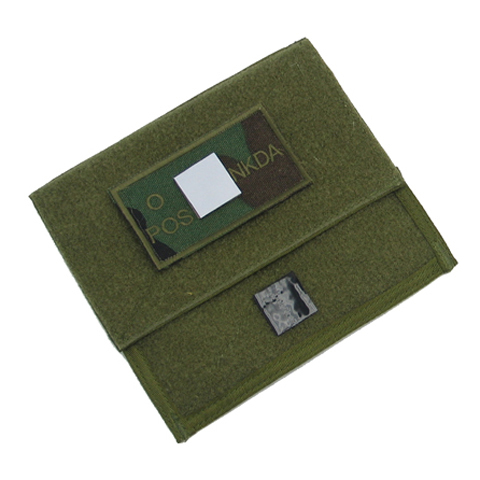 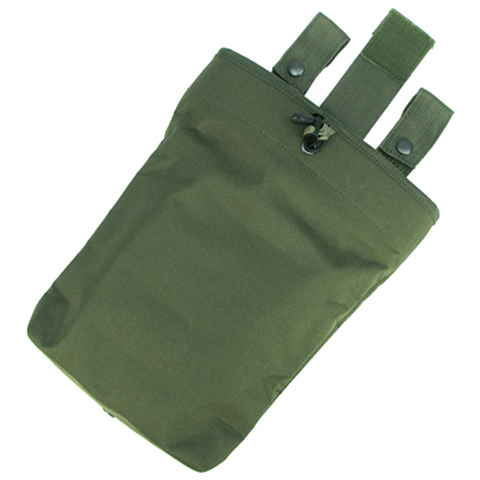 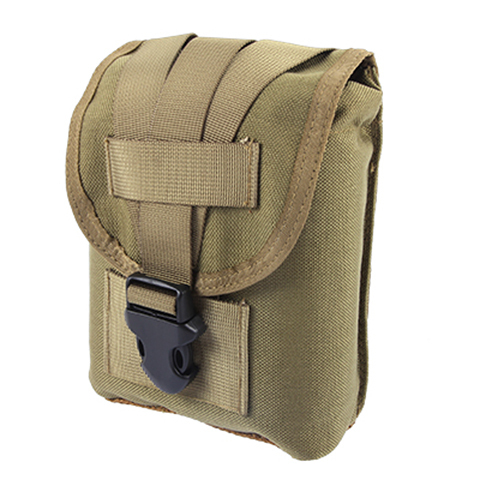 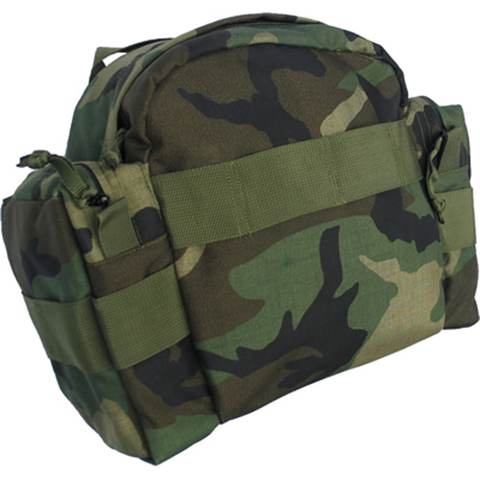 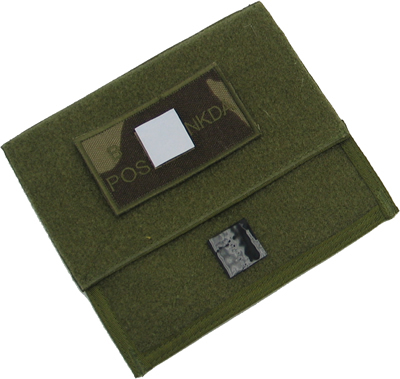 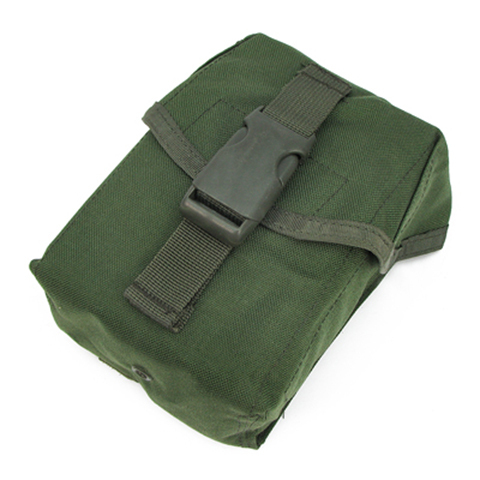 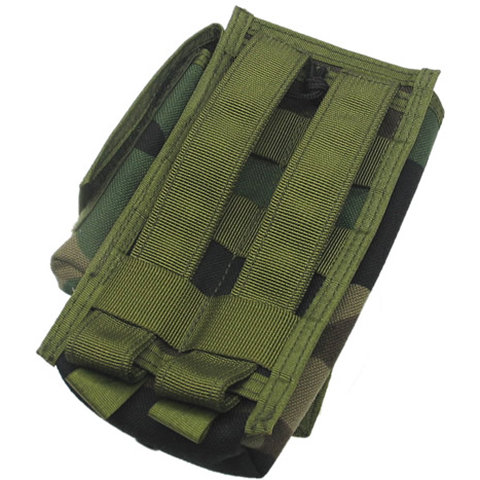 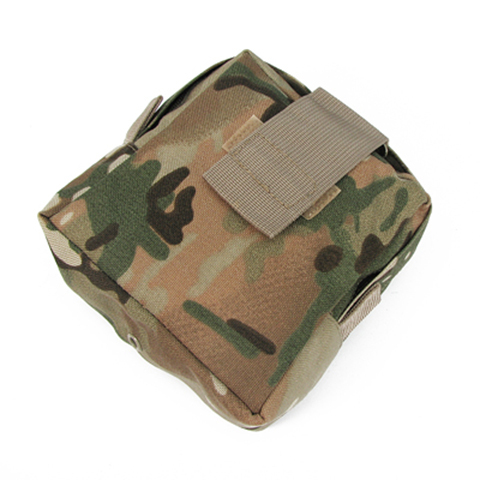 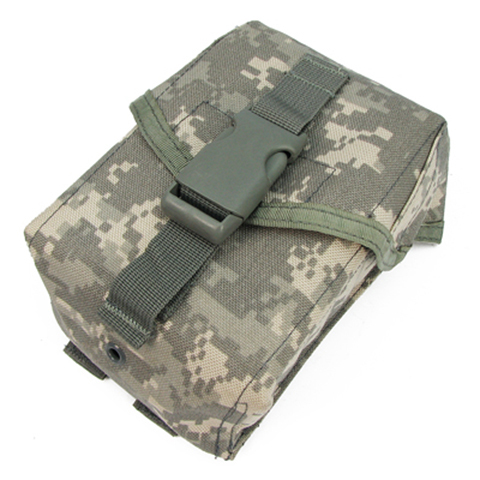 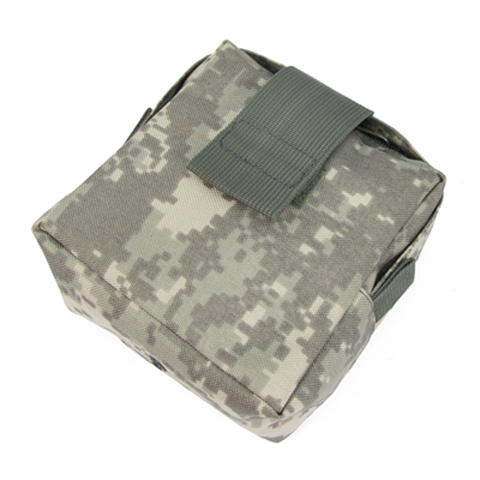 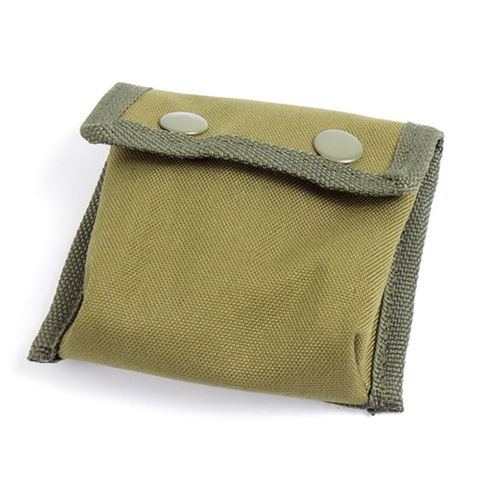 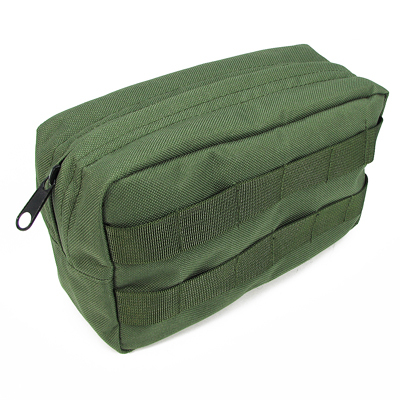 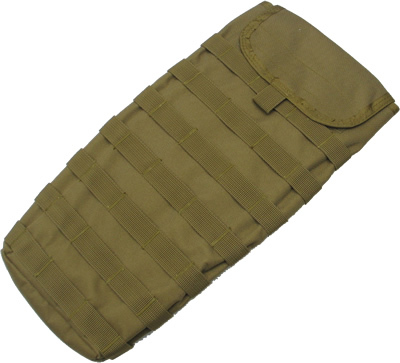 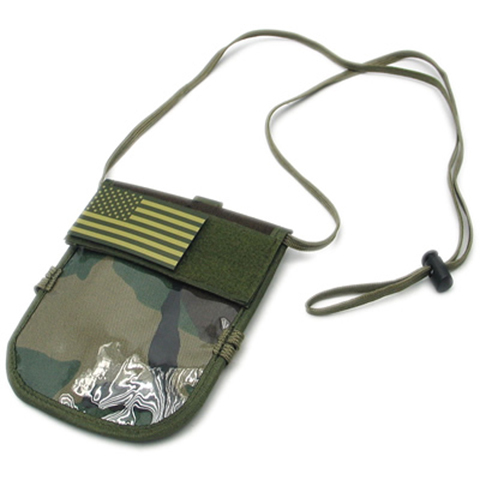 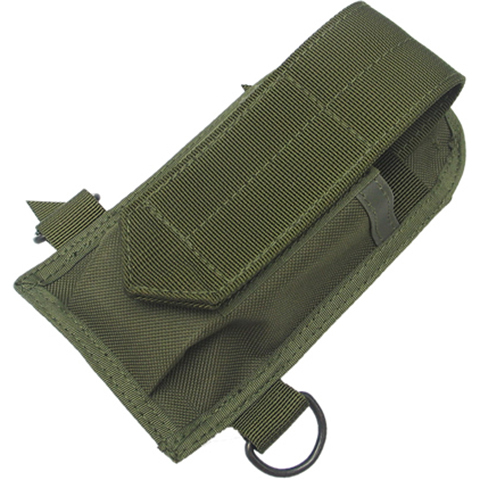 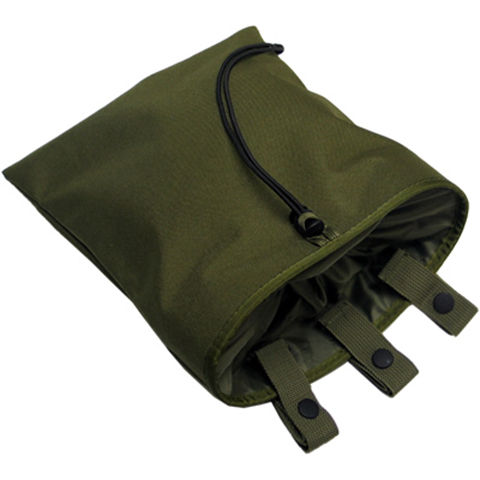 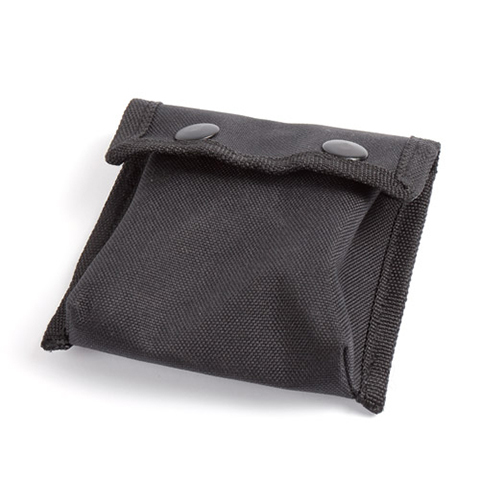 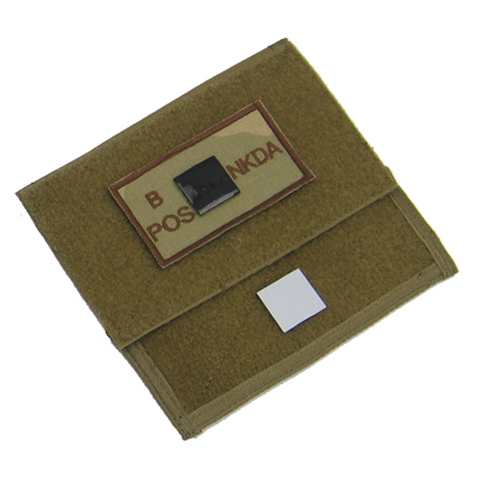 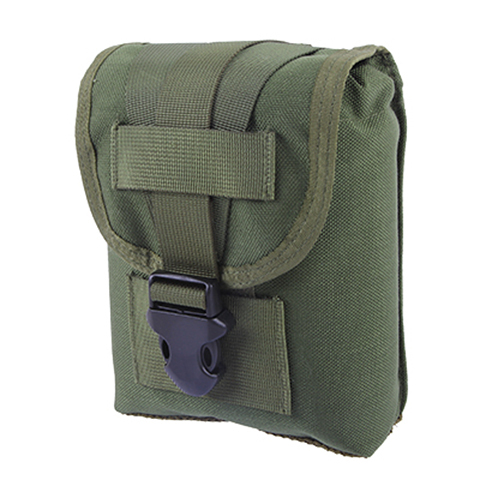 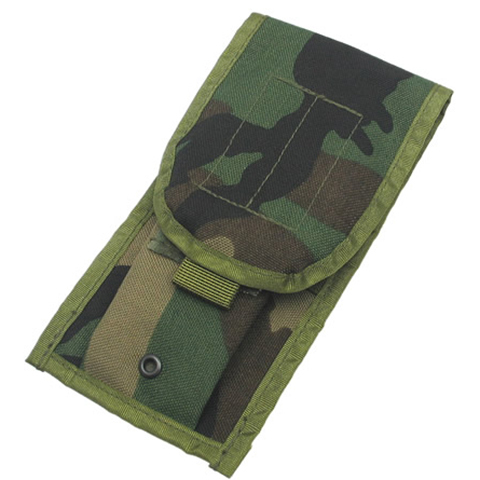 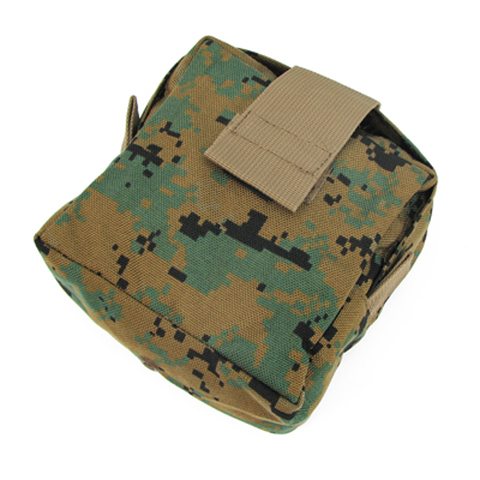 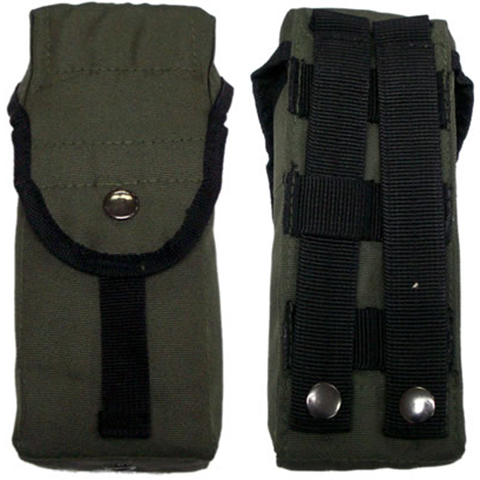 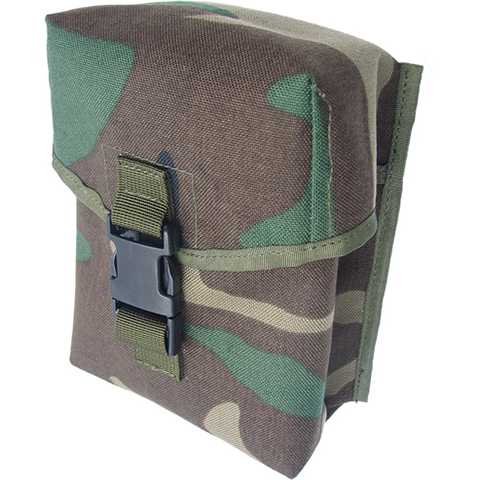 MPS 200r Pouch, it will best suit for store M16 magazines. 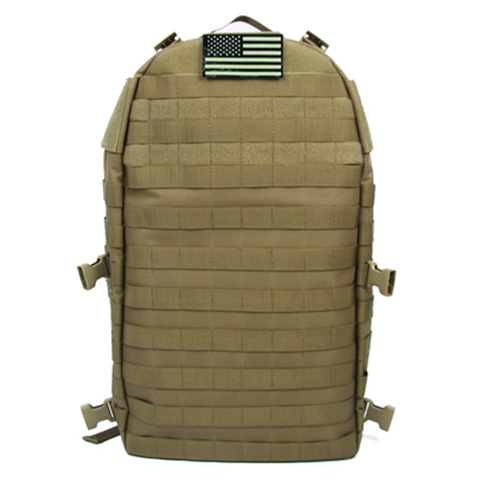 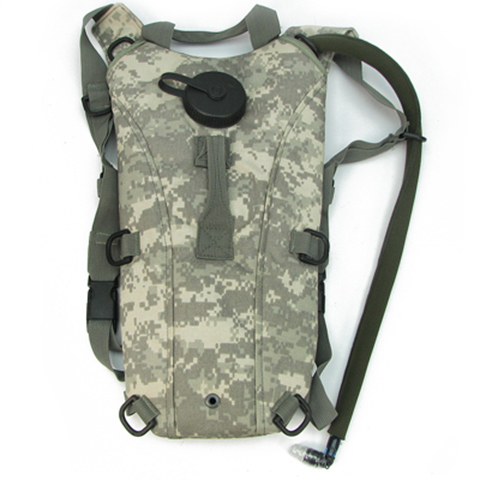 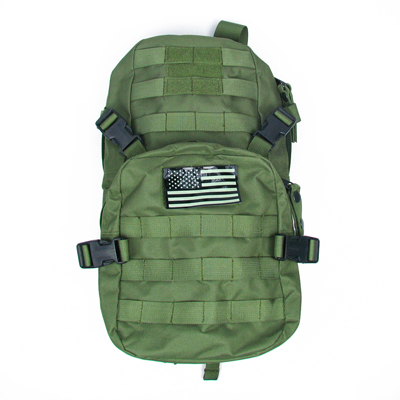 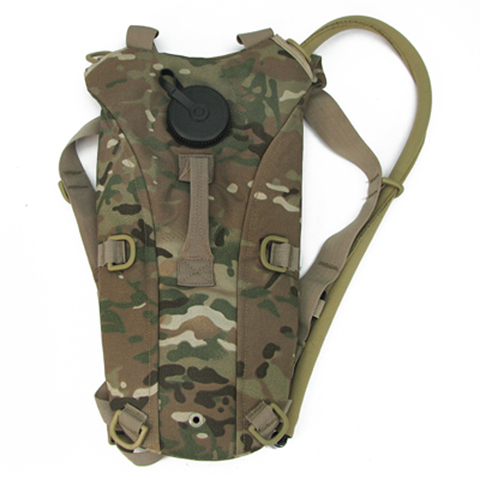 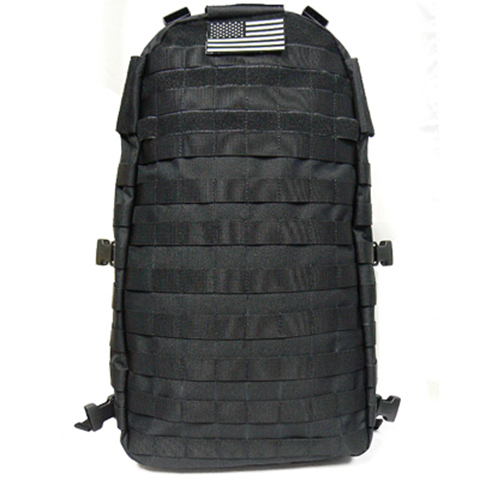 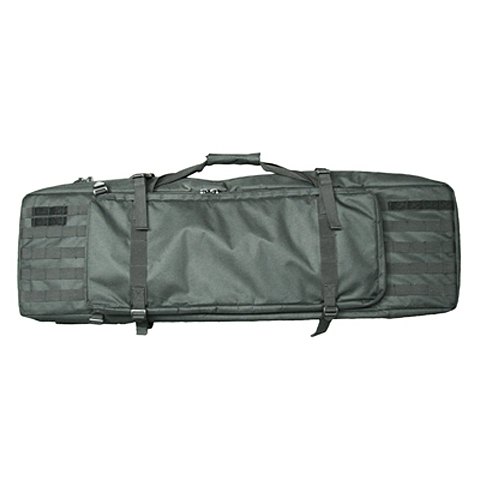 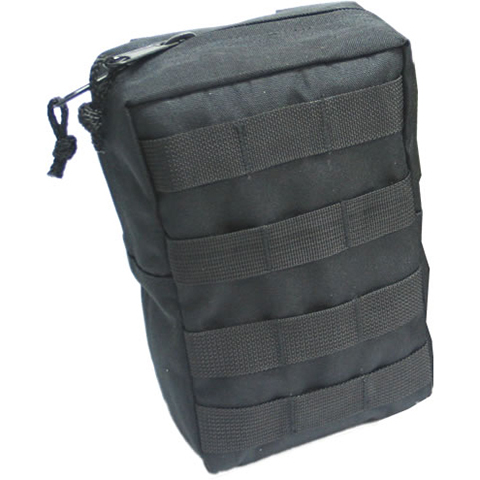 This platform can be attached to all MOLLE system. 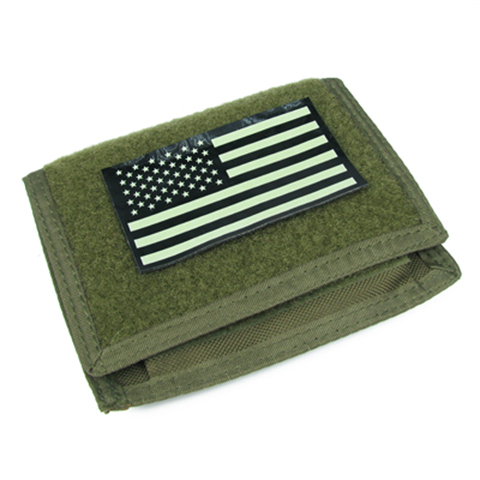 The platform comes with an IFF US flag. 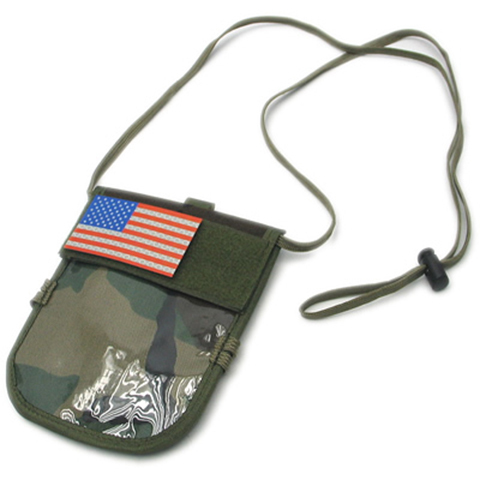 It can also hold for any type of Velcro patch. 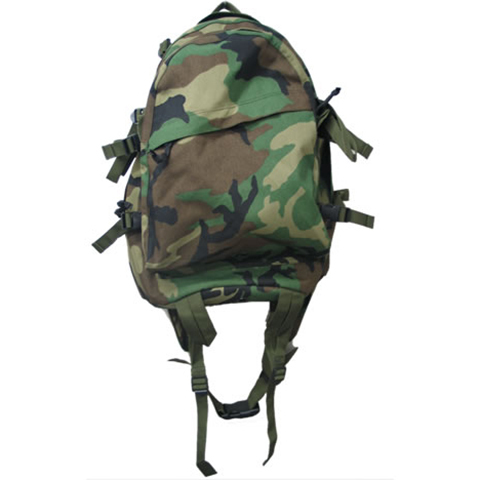 SOG Canvas Indigenous Rucksack. 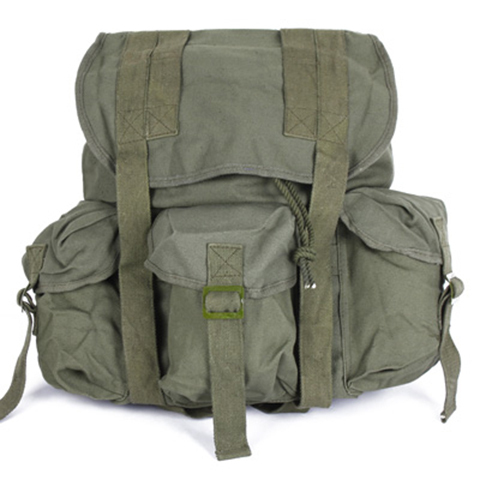 It has three pockets with adjustable straps on the outside. 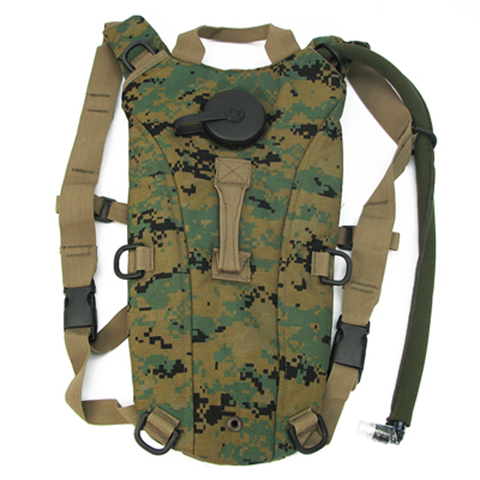 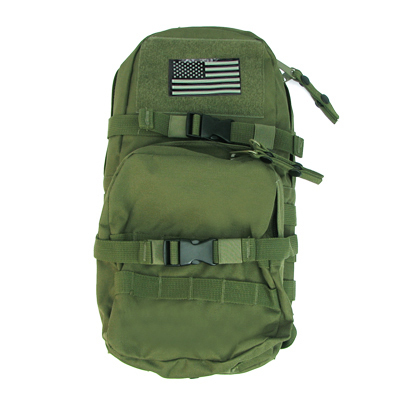 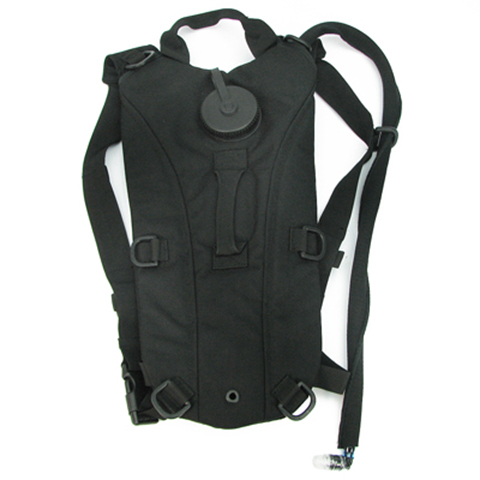 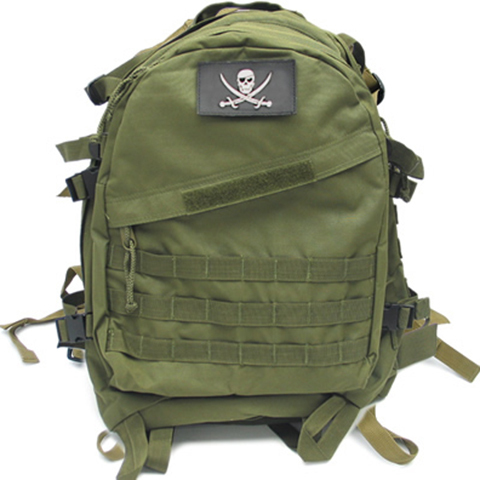 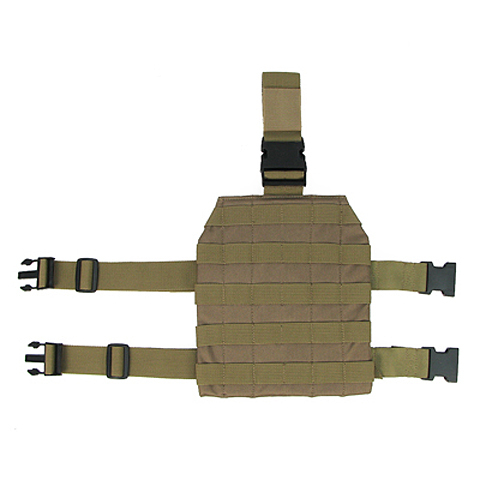 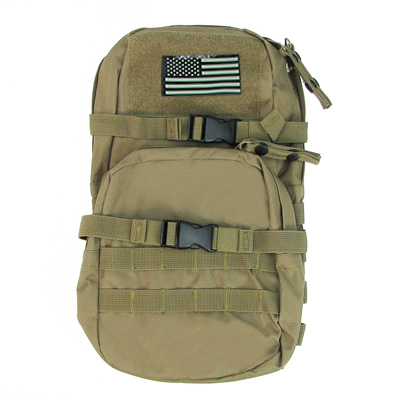 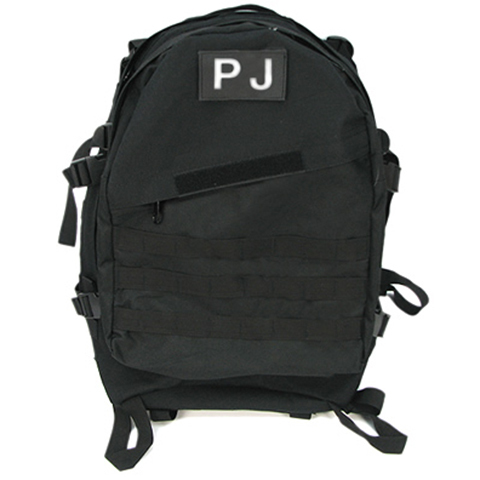 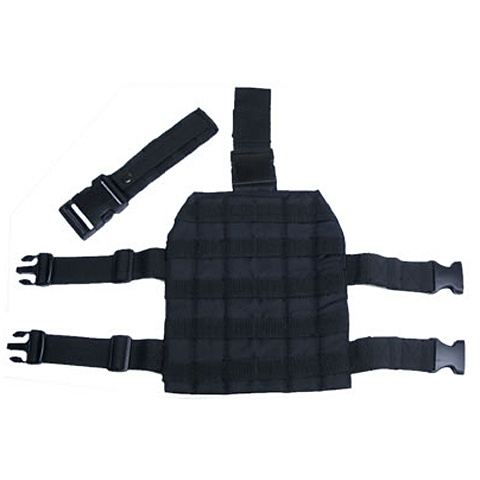 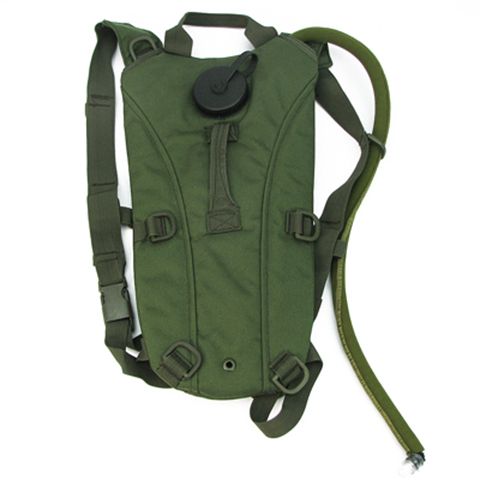 This MPS Multiple Recon Pack has 2 sections and can be easily separate as user's preference. 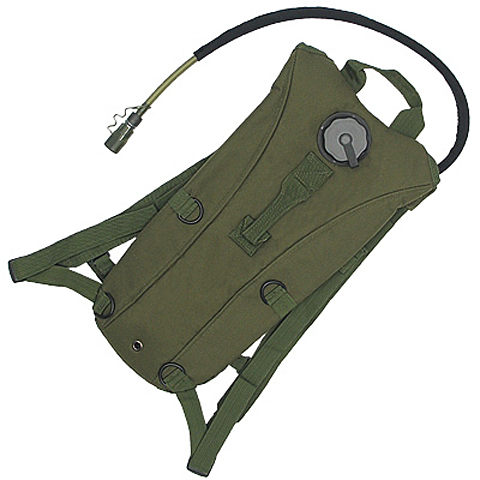 There is a compartment in the main backpack which water pack can be store. 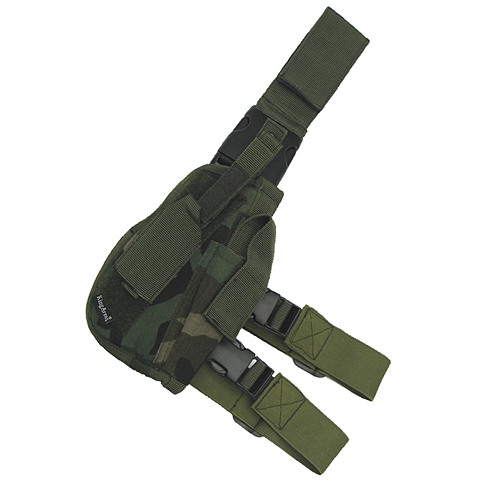 The detachable section can hold a M4/AK AEG. 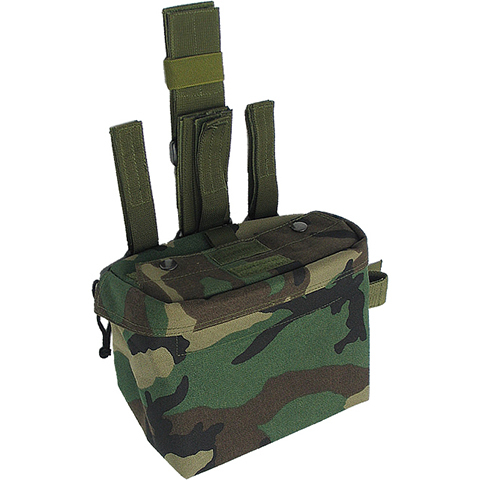 MOLLE compatible. 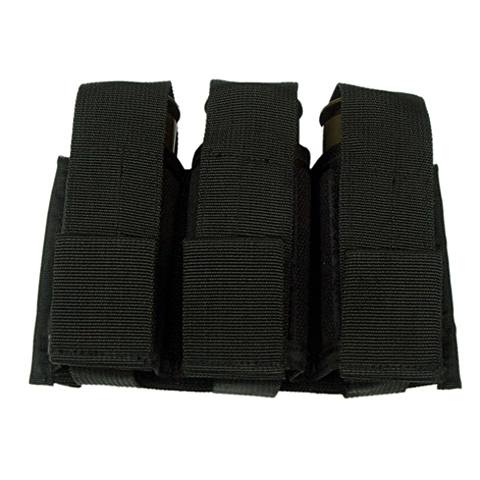 DA Double M4 Mag Holder which is able to hold two M4 Magazine. 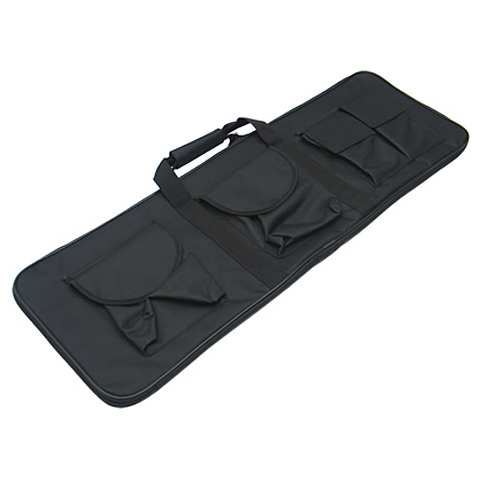 You can use it wherever you like. 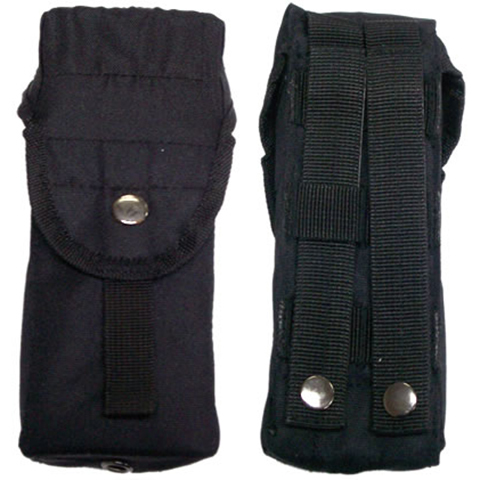 Adjustable Double mag pouch for vary size pistol magazine. 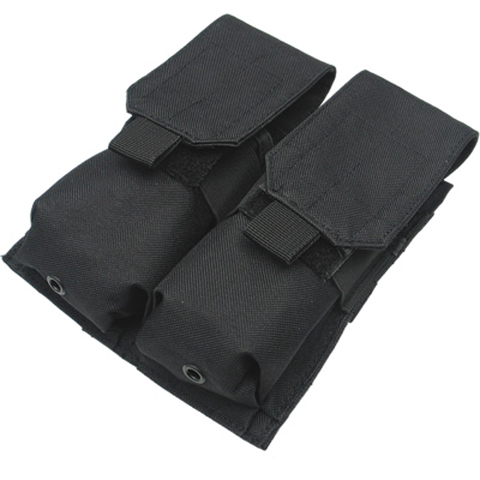 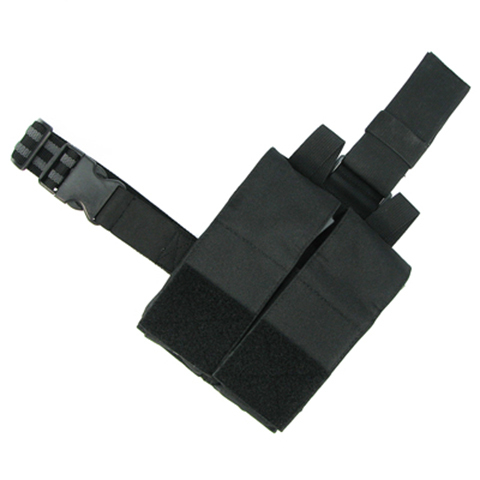 Adjustable triple mag pouch for vary size pistol magazine. 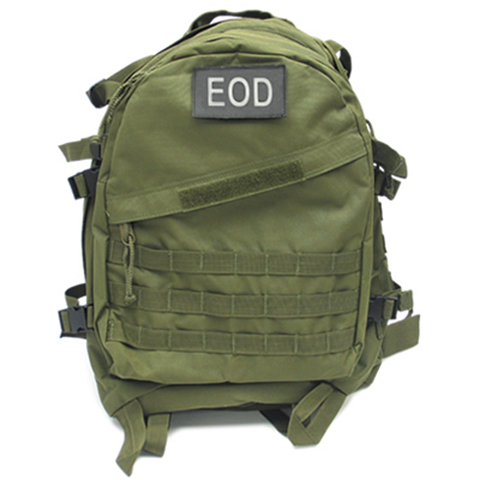 M.O.D. 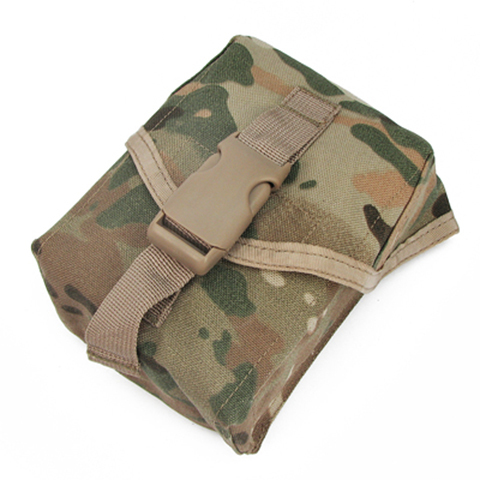 Mag pouch for M16 magazine. 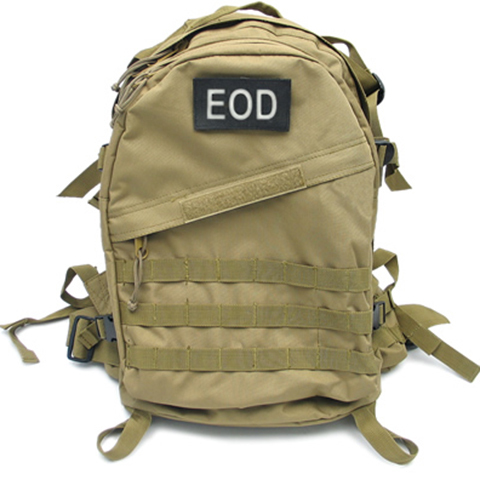 M.O.D. 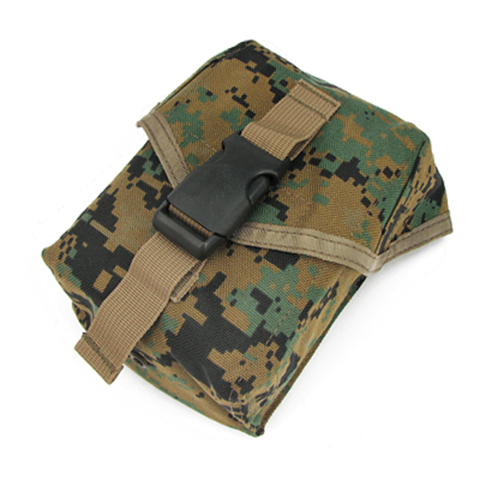 Mag pouch for M16 magazine. 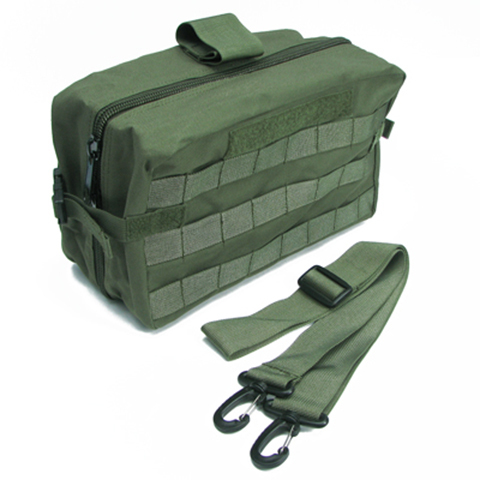 Drop Leg Bag and Magazine not included. 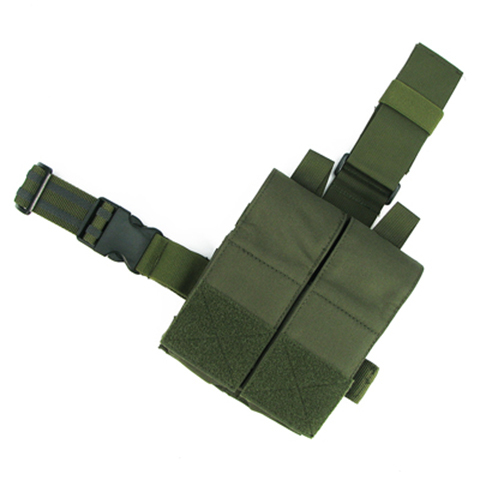 Tactical Leg Holster. 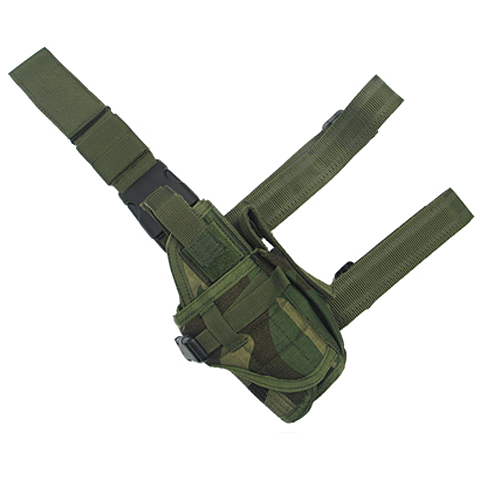 It can hold vary size of pistols. 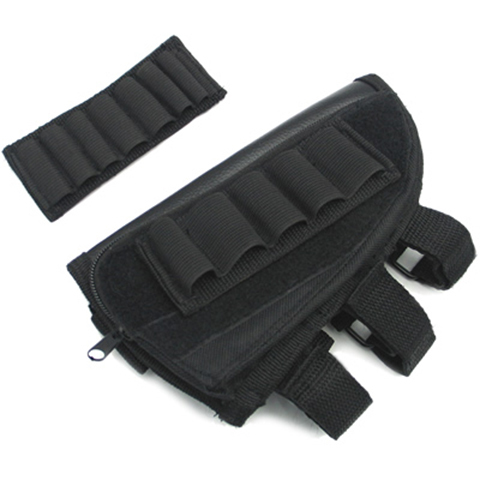 The side pouch holds pistol's accessories such as silencer and spare magazine. 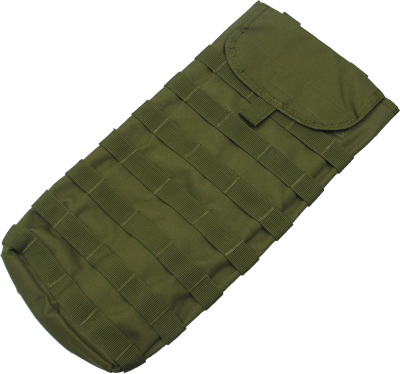 MPS Protection Pouch This pouch comes with a detachable protection pad. 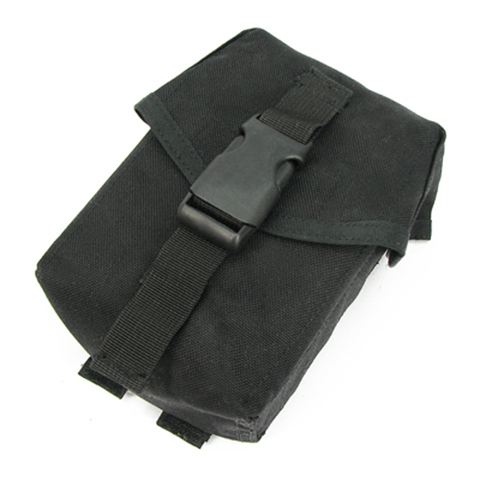 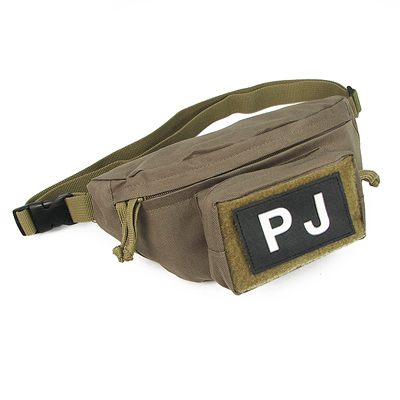 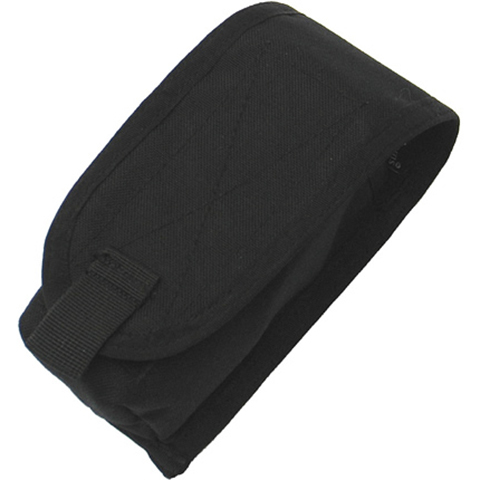 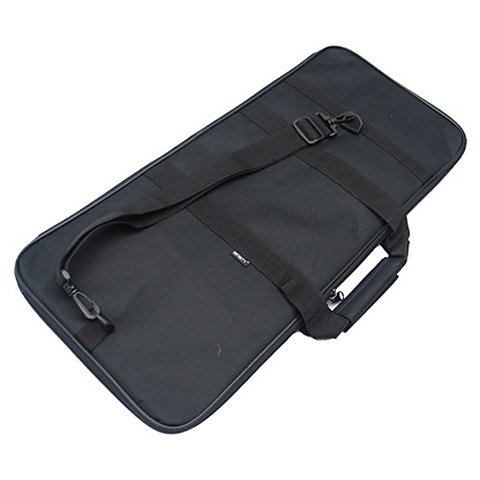 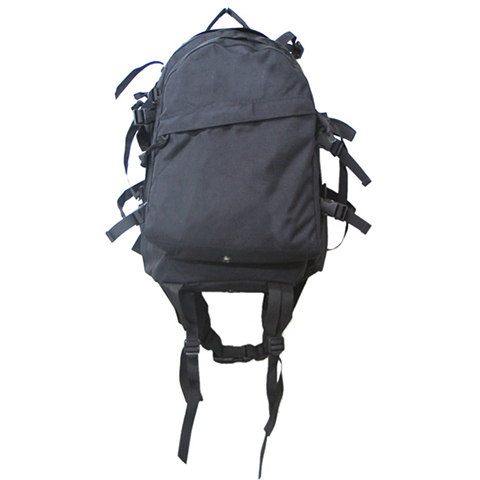 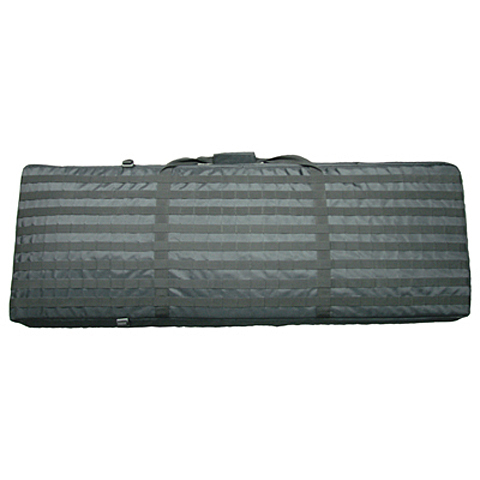 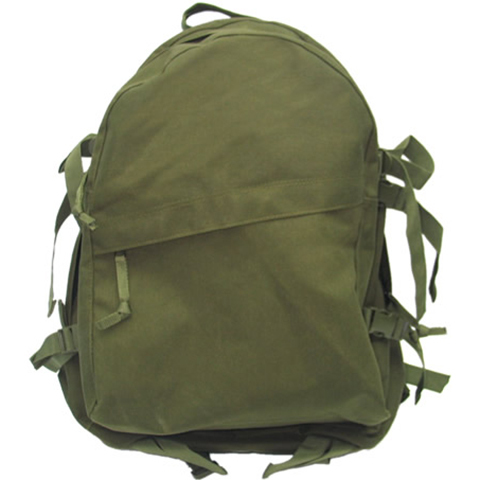 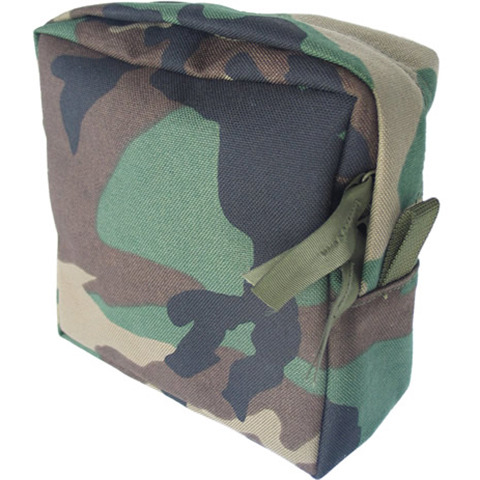 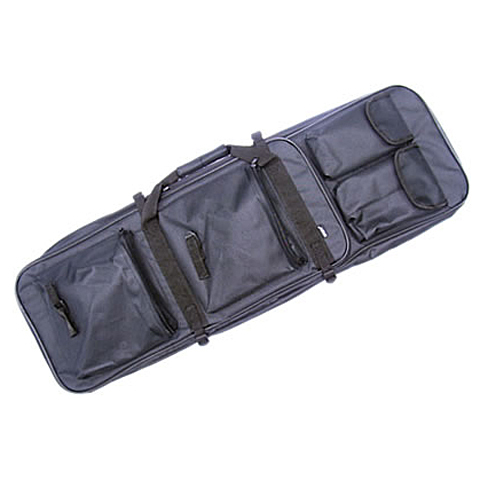 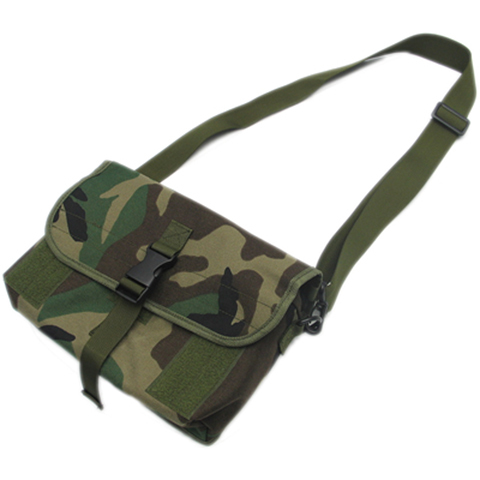 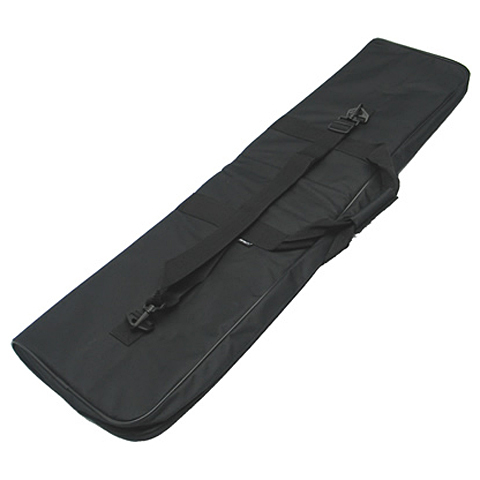 Suitable for carrying valuable items such as NVG or phone.